If you are looking for a Spider-Man PS4 bundle, we have picked out something nice for you with a new PS4 Pro 1TB Spider-Man console bundle available at GAME for just £349.99. This bundle usually sells for well over £400, but for a limited time only you can pick up the package for £349.99. It includes a 1TB console, a copy of Spider-Man, plus the bonuses Elder Scrolls Online Crown Edition and 2 months Entertainment Pass to Now TV. 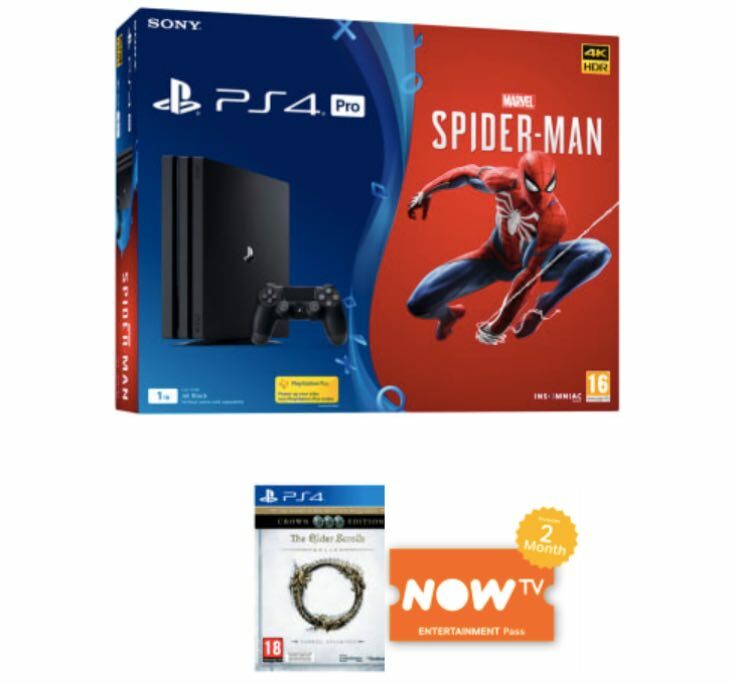 It’s the best price we’ve seen so far for a new PS4 Pro Spider-Man bundle, so grab this while stocks last as it will probably sell out very fast.